Dr. Pete Samaniego, D.C. received his Doctorate of Chiropractic from Palmer College of Chiropractic, and is a proud alumnus of Texas Tech University in Lubbock, TX where he earned his Bachelor of Science in Kinesiology & Biomechanics. In addition to his position at UHS, Dr. Pete is also a clinician at Ultimate Sports Medicine here in San Francisco. As a chiropractic sports physician Pete’s expertise ranges from musculoskeletal diagnosis, injury prevention, sports rehabilitation, and athlete nutrition. 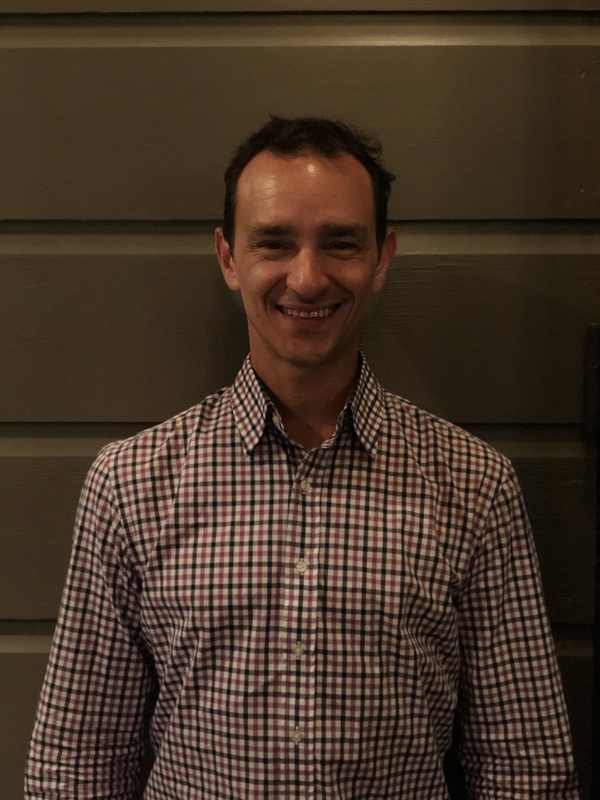 Dr. Pete has experience treating athletes from various athletic backgrounds ranging from serving as team doctor for the SF Gaelic Athletic Association, providing care to professional volleyball players on the AVP tour, to working with cross fit enthusiasts and weekend warriors alike. Dr. Pete is passionate about providing quality care to our athletes, and working with the rest of the UHS sports medicine team to keep our student athletes in the game. Duncan Kennedy comes to UHS as our new strength & conditioning coach from a career in fitness software. He was a three-sport athlete at Salisbury School in Connecticut, went on to row at the University of Wisconsin for four years, and was a member of the US National Rowing Team. Duncan has coached both at the high school (Brooks School) and collegiate levels (Northwestern and Boston University). Duncan continues to run rowing and other fitness based programs to various local health clubs and boutique fitness centers in the Bay Area, as well as private instruction for high-performing teens who want to step up their fitness levels. As a coach, high school, collegiate and US National champion, Duncan understands what it takes to achieve success through proper fitness training. At a deeper level, Duncan hopes to deliver lessons of fitness that will last a lifetime. Alan Stern joins the Sports Medicine staff as UHS' second Strength and Conditioning Coach. A Montreal native who grew up in Rhode Island, Alan earned a Bachelor's degree from Brown University, in his hometown of Providence, where he also played Men's Rugby for four years. Alan earned a M.S. in Kinesiology, with an option in Sports Medicine and Injury Studies, from Long Beach State University, where he worked with athletes from eighteen varsity teams across twelve NCAA Division I sports. He has coached professional athletes from NFL, MLB, MLS, and WNBA teams, and nourishes athletes as a performance chef. Alan's focus on injury prevention is based on appropriate athlete mindset, nutrition, recovery, and movement. Victor Leong started coaching badminton in 1984. He joined UHS as Head Varsity Badminton coach for 2001-2008 & 2012-present. The UHS Badminton teams have been league champions every year ever since he arrived. Victor is also a badminton player himself, with over 20 club tournament titles in Hong Kong, Malaysia, Indonesia, and Canada. He has also served as Tournament Director for various international tournaments, including the Yonex® U.S. Open Badminton Championships. On behalf of University High he also serves as Tournament Director for the North Coast Section Division II Championships. Victor graduated from Le Cordon Bleu in 2003. Whitney Baron '00 is returning for his third season as assistant coach of the badminton team. In addition to coaching the team, Whitney also teaches the badminton PE classes in the fall and winter trimesters, which is where he got his start in badminton while he was a student at UHS. Whitney was a four-year, multi-sport athlete in tennis and badminton, and was the BCL Singles Champion for badminton his senior year. Whitney looks forward to continuing to guide the team as they vie for their 10th straight BCL League Championship this year. Varsity Boys' Baseball Head Coach Rich Weidinger is a native San Franciscan. He is a graduate of Balboa High School and the University of San Francisco, and ran track in high school, not playing baseball until after graduating. His baseball career was interrupted by service time in the United States Marine Corp, after which he served with the San Francisco Police Department. After a knee injury, he started a 40-year coaching career, initially coaching high school summer ball in the city. Rich later coached for over 20 years at the collegiate level, starting at San Francisco State University and then moving on to Stanford University as an assistant coach. Finally, he moved to Cabrillo College as a head coach. His now serves has a director of Stanford's baseball camps program. Assistant Varsity Baseball Coach Barney Evans hails from the Half Moon Bay area, where he played water polo and baseball for Half Moon Bay High School. He was voted All-Conference in water polo both his junior and senior years, and MVP of the league in water polo during his senior year. He played baseball at CCSF, SJSU, and Menlo College, graduating from Menlo with a degree in Psychology. During his collegiate career, he was voted a 1st Team All-Conference Designated Hitter at CCSF during his freshman year and 1st Team All-Conference First Baseman at CCSF during his sophomore year. He is the hitting instructor at Stanford Baseball Camps and during the Summer of 2012, Barney was a player and coach with the Rosenheim 89ers Mens Club baseball team in Germany. Assistant Varsity Baseball Coach Vicente Hernandez grew up in San Jose, where he attended Bellarmine College Preparatory. He later attended CCSF and De Anza College. He was forced to end his college baseball career due to eye problems and began working as a hitting and outfield instructor for Stanford Baseball Camps. In addition to coaching, Vicente is a student in Kinesiology at San Francisco State. Randy Bessolo has been the Red Devils’ head boys’ Varsity Basketball coach since the 2005–2006 season. During his tenure, the Red Devils have averaged 25 wins per season; won 1st place in the league regular season (2008, 2009, 2011, 2012, 2013, 2014, 2017, 2018) and the league tournament championship (2009, 2010, 2011, 2013, 2015, 2018); risen to be the top-ranked high school team in San Francisco during several seasons (2010, 2011, 2013, 2015, 2018); advanced three times (2010, 2011, 2015) to the Final Four of the D5 California State Championship Tournament; and won the C.I.F. NorCal D5 Championship in 2015 playing in the State Finals at Cal's Haas Pavilion and on statewide television. Randy has been named a NorCal Double-Goal Coach of the Year by the Positive Coaching Alliance (2010), NorCal D5 Coach of the Year in 2015 by NorCalpreps.com and received the first annual UHS Jim Tracy Coaching Award in 2015. An All-CIF Southern Section player at the Thacher School in Ojai, CA, Randy led his team to the section’s Final Four during his senior year. He continued his basketball career at Columbia University, and holds degrees from both Columbia and Harvard Business School. Randy’s coaching background includes one year as a volunteer assistant coach at Columbia and five years with the Illinois Warriors Basketball Club in Chicago. In San Francisco, he has teamed up with UHS alumnus Evan Jones ’99 to run the Bay Area Warriors Basketball Club. Over 40 of Randy’s former players have gone on to play Division I college basketball at schools, including Duke, Illinois, DePaul, Northwestern, UCLA, Yale, and Columbia. Many others have gone on to play at the D2, D3, NAIA and Juco levels. Randy has over 20 years of experience working with urban youth as part of several organizations, including the Catholic Big Brother, Cabrini-Green Tutoring, and Mercy Boys Home Hoops for Homework programs. Jason Greenfield joined UHS in the Fall of 2016 as the Boys' Varsity Basketball assistant coach. He played high school basketball for Milton Academy in Boston and also played college basketball for two years at Trinity College, CT, before joining the coaching staff of the Trinity Womens’ Basketball team. Jason has had the pleasure of coaching several University alumni during his three-year tenure as the head coach for the San Francisco Maccabi Games basketball team. This past summer, Jason assisted Coach Bessolo with the Bay Area Warriors. In his spare time, he coaches his own three young boys in both basketball and baseball. Ryan Chisolm, a native of Gilroy, started as the JV Boys' Basketball coach in 2013. Basketball has always been a huge part of his life, and he brings high school and college playing and coaching experience to the basketball program. During the summers, he coaches for Basketball Jones Hoop Camps and this has helped shaped his passion for coaching basketball to kids of all ages. He recently earned his master's in Sport Management from the University of San Francisco. Ryan is the Assistant Athletic Director at UHS; he previously worked for Stanford Athletics as an event manager for a variety of their NCAA sport programs. Don Robinson joins our JV boys basketball program as the Assistant Coach. Don played at local Mission High School and Mt. San Antonio College. He was SF AAA co-player of the year in 1977, won all league honors in high school. He attended University of Nevada, Reno where he was the 10th leading rebounder in NCAA Division I. He attended NBA camps with the Atlanta Hawks and LA Clippers. He has played 15 years of professional basketball in 45 different countries. He has coached professionally, at the junior college level and high school. Don has been training players individually since 2000 where he has trained European professionals, All-State juco players and All-League high school players. He has three children, one grandson and enjoys golf in his free time. Johnny Mrlik begins his second season as the Boys' Basketball Frosh/Soph head coach. Johnny attended St. Ignatius College Prep in the Sunset for high school. He played varsity basketball and baseball there. Johnny then attended Vassar College, where he played basketball and baseball and received a degree in economics. He is the older brother of one of the greatest UHS athletes ever, Mattie Mrlik '16. For employment, Johnny currently manage accounts on the West Coast for a solar and home energy financing company. Matthew Schneider '11 joins UHS as the assistant coach for the Boys' Frosh/Soph Team. Matt graduated from UHS in 2011, where he played varsity basketball and baseball. Matt helped win three straight BCL titles as a player under Coach Randy and was named BCL 1st team all league as a senior. Matt graduated from U.C Berkeley, with a degree in political science and economics, and he now works in San Francisco as a capital markets analyst at an asset management firm. Matt & Johnny’s basketball partnership dates back to 1999, as teammates at Town School for Boys on Jackson Street. Billy Boidock joins the UHS Varsity Boys Basketball Team as a first-year assistant coach. Coach Boidock is a native Texan who played point guard at the University of Colorado. Since that time, his stops include coaching high school basketball in northern Colorado, working on Coach Johnny Dawkins while finishing his MBA at Stanford, and serving as Special Assistant to the President for the Golden State Warriors front office during the 2014-2015 NBA Championship. Coach Boidock lives in Oakland, and currently teaches a high school player development class called Hoop Kitchen in the Bay Area. He can't wait to join Coach Bessolo and the UHS family. Mary Hile-Nepfel is entering her first season at the helm for the Varsity Girls’ Basketball team in 2013–14. Although Mary’s last full-time coaching position was seven years ago as the Head Women’s Basketball Coach at the University of San Francisco, she did not have to travel far for her next coaching opportunity. Mary brings 23 years of collegiate coaching experience to the Red Devils program. More recently, Mary coached the AAU Olympic Club Elite girls’ basketball team and found her passion for the game again! A 1981 graduate of USF Mary was the first woman to have her number retired and to be inducted into the Athletic Hall of Fame. She is the school’s leading scorer (male or female) and leading rebounder in the women’s basketball program. Mary was a two-time Academic All America selection. As a coach the highlight was taking USF to the NCAA Sweet Sixteen in 1996. Mary started her own consulting business in 2007, Student-Athlete Consulting, to help families with the process of finding the right college for their son or daughter academically and athletically. Brian Harrigan is the Varsity Girls' Basketball assistant coach. Brian is a San Francisco native, graduating from Sacred Heart High School and San Francisco State University. He has been coaching basketball for over 30 years. Brian enters UHS with an overall coaching record of 703-241. He has won four CIF state championships and seven NorCal Championships. Brian is an accomplished coach as he was the 1993-94 CCS Honor Coach of the Year, 2008 Inaugural Naismith National High School Coach of the Year, 2008 USA Today Coach of the Year, and 2009 NHSCA Coach of the Year. Brian is a Pre-School teacher for San Francisco Unified School District. Richard Duque enters his third year as head coach of the JV Girls Basketball team. Richard attended San Mateo High School, where he played two years of varsity basketball, in which he earned all-league honors and was part of a Peninsula Athletic League championship. Richard attended the University of Arizona and San Jose State University, and has a BS in Nutritional Science. He is a Registered Dietitian working in healthcare, and specializes in chronic kidney disease and diabetes management. He is also an avid Warriors fan and enjoys traveling. When he’s not coaching or working, Richard spends his time with his wife Christine and eleven year old daughter Reese. Elizabeth Schaffernoth joins the girls basketball program as the JV Assistant Coach. She played four years in high school. Her love of coaching began in high school when she began coaching at a local middle school. She has coached at the middle school and high school level, as well as for a club team on the Peninsula. She spends her weekends coaching at E-Hoops, an inclusive basketball program for children with special needs. She graduated from Saint Mary's College in 2016 and has previously worked in the Athletics Department at Saint Mary's College and University of California, Berkeley. Head Cross Country and Track and Field Coach Carin Marrs joined the UHS coaching staff in the Fall of 2013, coming from a successful coaching career in Virginia, where her girls' cross country team took three VIrginia state titles in four years and earned a national ranking. Carin was a five-time individual Virginia state champion while in high school (in cross country and 3200m), as she led her cross country team to three state titles and a national ranking. She captained her college team at D-I James Madison University. Since she's been at University High School, the girls' track and field team has won the NCS Class A Championship (in 2015 and 2016), while the boys' track and field team has captured the team NCS title (in 2016). Carin has coached five individual and two relay NCS track and field champions. In 2015, the boys' cross country team won the prestigious Stanford Invitational and placed eighth at the CIF State Championships. Most of Carin's free time is occupied by her two sons, Julian and Louie. Kevin Cruikshank enters his 12th year of coaching at UHS with the start of the 2016 cross country season. In addition to coaching track, he has been an instructor for fitness training and sports conditioning in the PE department at UHS. One of the many highlights in Kevin's time at UHS was assisting legendary coach Jim Tracy take the UHS girls varsity teams to four straight D5 state meet titles from 2009–2012. Kevin was previously assistant coach for track and cross country at Lowell High School in San Francisco and was head women's track and cross country coach at Longview Community College in Lee's Summit, MO. He had a rich education in coaching track and field while serving Coach Harry Marra, current coach of Olympic champion decathlete Ashton Eaton, during his graduate assistantship at San Francisco State University. Kevin also has experience coaching adult runners with the San Francisco Impalas and Golden Gate Triathlon Club. Kevin is an NSCA Certified Strength and Conditioning Specialist, an American College of Sports Medicine Certified Exercise Physiologist and holds a USA Track and Field Level One coaching certificate. In addition to his many years of participation in track and cross country through high school and college, Kevin's second passion was band and orchestra and he still enjoys playing trombone. Otis Campbell began coaching track at UHS in 2010, focusing on field events. ”Coach O” has been coaching youth track & field and cross country since 1994. During his coaching career, over 40 of his athletes have qualified to compete at the USA Track and Field Junior Olympics and 65% were medalists. Coach Otis studied Kinesiology at San Francisco State University and provides personal training to adults and youth who want to develop a specific skill or get fit. In 2009 Coach Otis founded Team Onalysis, a developmental track and field program. Coach O molds any committed youth into a competitive track and field athlete. It is Coach O's belief that track & field, cross country, and basketball are character building activities that give youth life-skills that help them to handle challenging situations both on and off the track. Lisa Carroll, an art teacher at UHS, joins the cross-country coaching staff for the 2016 season as an assistant varsity coach. She has been a trail-runner for 20+ years, competing in races from Oakland to Mongolia. While much of her experience has been large scale urban marathons, in 2009 she made the switch to 100% trail races with the 42k distance of the Mongolia Sunrise to Sunset race through tiaga and steppes alongside Lake Khovsgol in Northwestern Mongolia. She earned first place for the women’s field. Since 2009, she has run several ultras, including the epic 60k Kepler Challenge in Te Anau, New Zealand. She heads back to New Zealand in February 2017 for the Old Ghost Road 85k. A long-time Oakland, CA-based artist, she earned an MFA at Stanford in 1998 and has taught painting at UHS since 2014. Erica Hayes is beginning her 4th season as a UHS coach. Her first season with UHS was as the head JV soccer coach, and is now solely working with the track and field team as the throws coach and when needed assisting sprints mechanics/relays. Starting at the age of 6 Erica spent most of her life on the track, which over the years molded her into a junior Olympic competitive athlete. In the 1999 USATF Junior Olympics, Erica placed as the 8th fastest 200m runner in the nation for the bantam girls age group. She also captained 3 relay teams to state victories in high school for the 4x100 and 4x200m relays. After taking time off due to knee injury and surgery, Erica eventually became a walk on track and field sprinter & thrower at San Francisco State University until graduating in 2015 as a Women and Gender Studies Major. At SF State is where Erica found her love for the throwing events. Now, Erica is a throws certified specialist with USTFCCCA, and a level one certified coach with USATF. Being in her third season coaching high school track and field, she can soon obtain her level two certification. Coaching is an addition to her work outside of UHS which is training private clients and groups as an AFAA certified personal trainer with her business TrainAthletic LLC. In the fall/winter of 2017 Erica worked as a contracting trainer for club level swimmers on their dryland conditioning. Erica’s passion, which is to coach all forms and types of athletes and bring out the athlete in all, persuaded her to start her own business. Although Erica’s past accomplishments as a sprinter made her believe that only sprint coaching was in her future, understanding how the training for sprinting and throwing events are a-like and correlate, has given her a new direction and love for the sport of track and field. Other than her love for sport, being in her first year and a ½ of marriage, Erica loves to spend time with her family. A former high jumper, hurdler, heptathlete and pentathlete at the College of William and Mary, Savanna Craib will be joining UHS as the new sprints and hurdles coach. During her collegiate career Savanna was awarded the Colonial Athletic Association (CAA) Commissioner's Academic Award 6 times for excellent academic and athletic performance. Studying pre-medicine and Kinesiology as well as competing at the Division I level, Savanna knows how to strike the balance between athletics and academics and intends to help UHS athletes find that balance as well. Savanna represented the College of William and Mary at the CAA Championships 3 times and at the ECAC championships in 2012 for the hepthalon. During her high school career Savanna was the MVP for 4 years straight, broke numerous school records (100 hurdles, 400 hurdles, 300 hurdles, 55m hurdles, indoor high jump, shuttle hurdle relay, and the heptathlon), and was the Massachusetts State Champion in the 400m Hurdles in 2013. Savanna has experience as a personal trainer, coach, tutor, mentor and currently works as a Patient Counselor for Dr. James Romano in Nob Hill. Bay Area native Susie Smith, the head Boys' and Girls Fencing coach, has a uniquely positive coaching style that focuses on the athletes strengths and natural abilities. By listening closely to each student’s preferences and expectations, she excels at helping individuals set and reach their goals. Her personal experience as a lifelong athlete and love of children transformed her into a seemingly natural teacher and coach. In college she competed in two NCAA championships and was an honor athlete. After college she competed nationally and internationally, including two world cups (placing 16th). Hard work and a winning attitude help make every athlete and every team a success. Assistant Varsity Fencing Coach Chuck Lucasey has been an active competitive fencer for the past 15 years, competing in local and national events and runs beginning adult fencing programs in the Bay Area, including a small but dedicated group at the Olympic club. Previously, he coached the men’s novice program at Pacific Rowing Club where we were state novice champions for two years in a row. Chuck is currently the CEO of Lucasey Manufacturing and lives in San Francisco with my wife Ruby and daughter Jade. New Varsity Field Hockey Head Coach Grace Wilson, graduated from American University in 2015 with a B.A. in Elementary Education and a minor in Special Education. While at American University, Grace competed at the Division I level in the Patriot League. As a senior, Grace was recognized as a Division I All-American. As a team captain her junior and season seasons, Grace led her team to the Patriot League Championship and an NCAA championship run. She holds the Patriot League record for most Defensive Player of the Week awards and was awarded the Patriot League Defensive Player of the Year and Patriot League Scholar Athlete of the Year awards her senior season. Grace has coached field hockey for the past 8 years and looks forward to bringing her love of the game to UHS. Grace is currently a second grade teacher at Creative Arts Charter School in San Francisco. Nathalie Gruet beings her first season with University as the Assistant Coach to the Varsity Field Hockey Team. She grew up and attended school outside of the Boston area. As the youngest of four, with two older brothers, she can't remember a time when she wasn't playing a sport, and it was actually her older sister, who introduced her to the sport of Field Hockey. She attended Wellesley College where the team won back-to-back conference titles and births into the NCAA Elite 8. She looks forward to sharing her love for Field Hockey to UHS, and continue to empower young women through sport. When she is not working, she can be found outside on her bike, climbing, hiking, yoga-ing, or being her quirky self with friends. Angela Tomey begins her first year as JV Field Hockey Head Coach. She began playing field hockey her freshman year at Gilroy High School. She then was recruited to play goalie for Earlham College but decided to stay closer to home. Angela attend Chico State University. While attending she helped start the Chico State Club Field Hockey team. Angela looks forward to bringing her passion for field hockey to University. Angela is currently working in corporate wellness and fitness. Head Varsity Golf Coach Billy Reibel grew up in the Chicago area where he played golf at the high school and collegiate level. He and his wife have been in San Francisco since 2012. He was elected to PGA Membership in January 2017. He has worked as a golf professional at Burlingame Country Club and Sharon Heights Golf and Country Club and now is the 1st Assistant at the Presidio Golf Club. Head Varsity Coach Braden Edwards played college lacrosse at Gettysburg College where he served as Captain and was named a First Team All-American. Following graduation, he played for a Marin club lacrosse team for a decade. In more recent years, he has been very active both as a club coach and as co-founder of the Alcatraz Outlaws lacrosse program. Braden has always brought passion, energy and commitment to our lacrosse program. He sets high standards for the players both in terms of the effort expected and their behavior on and off the field. During his time on our coaching staff, University had some of its strongest teams including the 2005 team that finished 2nd in NCS and was LaxPower ranked 2nd in Northern California and 4th in the Western Region. The Devils won league titles Braden’s last seven years of coaching here. Erini Blakey played lacrosse at the University of Southern California, where she captained the team during her junior and senior seasons. After graduating, Erini moved to the Bay Area to teach Pre-K in East Palo Alto. She now lives in San Francisco and works at a start-up called Fantex. Erini is excited to return as the Varsity Girls' Assistant Coach this year after helping the team at the end of last season. Aside from playing lacrosse, her other loves include skiing, hiking, and baking. Maryland native Sarah Townsend played Division I lacrosse at The University of Richmond, graduating in 2009 and earning the Most Improved Player Award and the Scholar Athlete Award. Throughout her college career, Richmond won four conference titles, earned two NCAA appearances, and was ranked as high as seventh in the nation. Sarah has been a coach for various elite camps, clinics, and teams including Northwestern Camp, Green Turtle Lacrosse, SF Riptide, and Tenacity Lacrosse. Sarah has lived in San Francisco for five years and works in technology. Blair Evans joins the girls lacrosse program as the JV co-coach. She grew up in the Monterey Bay Area and attended Santa Catalina School where she excelled in both soccer and lacrosse. Blair continued playing lacrosse at the collegiate D-I club level at UC Santa Barbara. While at UCSB, her Gauchos made it to the national championships all four years. Blair earned League Rookie of the Year, served as team captain her junior and senior years, and capped off a successful collegiate career by earning First Team All-American honors. After graduating in 2014 with honors and a BA in Economics and Accounting, she moved to San Francisco and now works at Gap Inc. in real estate strategy. She continues to play lacrosse as a member of the Olympic Club women’s lacrosse team and enjoys volunteering at the Boys and Girls Club of San Francisco. Blair is very excited to create a positive learning environment on and off the field and is thrilled to share her passion for lacrosse and sports with the girls of UHS. Grace Wilson, varsity field hockey head coach, joins the girls lacrosse program as the JV co-coach. She graduated from American University in 2015 with a B.A. in Elementary Education and a minor in Special Education. While at American University, Grace competed at the Division I level in field hockey in the Patriot League. As a senior, Grace was recognized as a Division I All-American. As a team captain her junior and season seasons, Grace led her team to the Patriot League Championship and an NCAA championship run. She holds the Patriot League record for most Defensive Player of the Week awards and was awarded the Patriot League Defensive Player of the Year and Patriot League Scholar Athlete of the Year awards her senior season. Grace has coached field hockey for the past 8 years and looks forward to bringing her love of the game to UHS. Grace is currently a second grade teacher at Creative Arts Charter School in San Francisco. Currently the head boys' varsity coach, Deejae Johnson took over the UHS Varsity Soccer program as the head boys’ and girls’ coach in 2004; since then, his teams have won 11 league titles and three NCS Championships. Deejae was a four-year starter at the University of Vermont, leading the team in scoring his senior year, while being named All-Region. Deejae’s post-college soccer career has included stints with the San Francisco Bay Seals, the Cape Cod Crusaders, the New Hampshire Phantoms, and the Vermont Voltage. He coached high school teams in Vermont and led his boys’ team to the state title. Prior to joining UHS, Deejae was a member of the Cal coaching staff for both the men’s and women’s teams and spent a season with the St. Mary’s of California men’s team as a sport psychology consultant. He has also served as a member of the Cal North Olympic Development staff, and currently works for Nor Cal Player Development Program. Deejae holds a USSF A license, NSCAA Premier Diploma, English FA prelim badge, and a Dutch KNVB diploma. He coached the women’s team at the Olympic Club where they won 11 GGWSL Premier League titles and the 2014 USASA National Championship. Deejae is the director of SoccerInsight, which runs skill development camps and programs for young kids. After graduating from Vermont, Deejae received a Master’s in Sports Psychology from the John F. Kennedy School of Professional Psychology in Orinda. Peter Friedland began at UHS in 2013 as assistant JV boys soccer coach. Peter played high school soccer at Columbia HS in Maplewood NJ where he was a center midfielder, tri-captain and on a state championship team. He also played club soccer for the Union Lancers. Peter played college soccer at Cornell University where he was an outside midfielder and tri-captain. After college he played with the SF Scots in the SFSFL Premier Division. Peter is an avid long-distance cyclist. Chris Flanagan joined the University High School Soccer Program in the Fall of 2016 as an assistant coach for boys' varsity soccer. Chris currently holds a USSF Coaching “B” license and the NSCAA National Diploma. In addition to UHS, Chris Flanagan is a head coach for two boys teams with the San Francisco Elite Academy. Over the years, Chris has coached and trained top teams at SF Glens Evolution, SF Vikings Club, and in 2014–2015 led Evolution FC's U-12 Boys to a State Runner-up finish in the highest division of the NorCal State Cup. In addition, Chris has held various leadership positions with SF Elite Academy, SF Glens Evolution, Evolution FC, and the SMC Star Alliance. Chris’s playing experience includes the open premier divisions of the Northern Virginia Soccer League, Washington DC International League, as well as a high school career with then state powerhouse, St. Charles Preparatory of Columbus, Ohio. Chris has a BA in English from the University of Notre Dame and holds two master’s degrees—one in Communications and one in Fine Arts/Writing. He lives in San Francisco with his wife and three children. Felix Massillon joins as the Head JV Soccer Coach. Felix’s passion for soccer began as soon as he could walk. He played on the streets, fields and beaches of his hometown of Port au Prince, Haiti. After immigrating to Cambridge, MA as a teenager, he played 2 years on Varsity for Cambridge Rindge and Latin High School, then 1 year for Northeastern University's Varsity Team. He played semi-professionally for the Haitian League for 7 years and for 2 years in the Laza League in Boston. After moving to San Francisco in 1996, he played for 3 years for the Premier League of San Francisco for Mill Valley Soccer Club. He began coaching youth soccer in 2005. Felix has coached for Drew High School and Mavericks Youth Soccer Club. Ryan Thomas joins UHS in his first year as the Boy's JV soccer assistant coach. A Southern California native, his youth playing experience included stints with the state, regional, and national teams before joining Stanford as a four-year starter. He went on to play one season for the Los Angeles Galaxy and was fortunate enough to be a part of their championship team, winning an MLS title in 2011 before injuries ended his soccer career. Now teaching physical education at St. Gabriel and St. Gregory in San Francisco and San Mateo, respectively, he strives to educate youth on the importance of health, empowering them to take their physical and mental well-being into their own hands. In his free time, Ryan enjoys exploring the Bay Area on his bike, cooking, camping, practicing yoga, and being outside in nature as much as possible. Girls’ Varsity Soccer Head Coach Chance Daniel attended Huntington Beach High School, Orange Coast College, and Cal State Long Beach. He received his Master’s in Organization and Leadership from USF. Chance played soccer during high school and for two years at Orange Coast College. Over the past 17 years, he has been a head coach at Wolfpack Soccer Club (now Pateadores), SF Vikings, SF Elite Academy, Corona Del Mar High School, and Sacred Heart Cathedral Prep. He has also acted as an assistant coach at Fountain Valley High School, The Urban School, Orange Coast College (Men's and Women's teams), and with the City College of San Francisco Women's team. Many of his teams have gone on to earn spots in competitive tournaments and championships. When he’s not coaching soccer, Chance enjoys playing soccer, watching Arsenal, cooking, and traveling. Emma Krenzin joins UHS for her first season as the Girls’ Varsity Soccer Assistant Coach, after playing soccer competitively throughout her life up to the club collegiate level. As the captain of her soccer team in high school, she became extremely passionate about sports at a young age. She was also a tennis player throughout high school and was honored with all-league mentions in both her sports. Emma worked at sports camps and refereed youth soccer while in college, and continued to play club soccer for her first year at UC Santa Barbara. She went on to USF for graduate school and received her Master’s in Sport Management in 2016. Since then, Emma worked in public relations for several Bay Area sports teams, including the Golden State Warriors, San Francisco Giants and Pac-12 Networks, while also working as a personal trainer at Crunch Fitness. When she’s not coaching soccer, Emma can be found teaching group fitness classes, playing recreational soccer, hiking or kayaking with her dog, reading a good book, or hitting the gym. Known for her fierce style, Dani "La Ruda" Lopez was born and raised in Mexico City. She was a student-athlete and captain of the women's soccer team at Universidad Iberoamericana in Mexico City, her team ranked Top 5 Best Teams in the country. After graduation, she was offered a full scholarship in the two-year soccer coaching academy in the Mexican Soccer Federation and became one of the first women to receive the highest coaching license of Technical Director which certifies her to coach D1 teams, professional teams, and national teams. She started coaching in 2014 as assistant coach of her former team at her alma mater and in 2015 she was the head coach of the varsity women's soccer team of a private high school in Mexico City. In 2016, Dani was offered a scholarship to study her masters in Sport Management at the University of San Francisco. Dani loves working with youth and dedicates her life to sports with the belief that sports help create better human beings. Dani is excited to begin her first season as the Girls' JV Head Coach. Kelly Smith joins UHS as the Girls' JV Assistant Coach. She graduated in June 2018 from UC Davis with a double major in Communications and Spanish. Shortly after graduating Kelly began to pursue a Master's in Sport Management at the University of San Francisco. She played soccer for 15+ years starting with youth rec soccer, to competitive club soccer for 10+ years, in addition to playing varsity soccer for four years where she was team captain for three of those years, and finally finished her soccer career playing club and intramurals at UC Davis. Kelly has coached a middle school girls soccer team in Salinas for two seasons and is looking forward to coaching at the high school level. Susan Deemer began coaching softball in 1996 after graduating from the College of NJ with a BS in Biology and an MA in Curriculum and Instruction. She has coached softball for 23 seasons, coaching in both public and private schools, as well as recreational leagues for various cities on the Peninsula. Susan has served on the Redwood City Girls' Softball League Board, a Positive Coaching Alliance representative, and player agent for all divisions. Susan is currently a National Board Certified teacher at Katherine Delmar Burke School where she facilitates the integration of technology in the upper school and coaches cross country. This will be her 5th season at UHS. Henry Gunn is the Systems Administrator for a law firm here is San Francisco. Henry started coaching softball in 2009 for the San Francisco Little League, where he started in the farm 6u division and continued until the senior 15u division. During this time he became the softball commissioner for the league, joined the board of directors for SFLL and Marin Girls Softball and is currently the Seniors Player Agent for SFLL. In 2012, Henry co-founded the nonprofit San Francisco Waves Fastpitch team. SF Waves provides the players of San Francisco the opportunity to play tournament softball without having to travel outside the city for practices. Henry continues to try and find ways to help these young players find a passion for softball and provide them with ways to play the game. He looks forward to helping the young players of University High School to find their love and potential in the game of softball. Will Deemer joins University HS as an assistant softball coach for the Spring 2019 season. He brings extensive experience from competitive and recreational softball leagues in the Peninsula. Will currently works as a licensed plumber and foreman in San Francisco for Cal Pacific Plumbing Systems. When he is not at the gym or at work, you can find him watching his daughter play softball. Head Varsity Swim Coach Jenny Kline began coaching at UHS in 2007, when she joined the school’s History Department. Her own athletic background is diverse and includes volleyball, basketball, and swimming in high school, as well as serving as the coxswain for the women’s crew team while she was at Georgetown. She has 11 years of high school coaching experience between crew and swimming at her former schools: Miss Porter’s School in Farmington, CT, and the Sage Hill School in San Diego, CA. Walter Eggert joins University HS as an assistant swim coach for the Spring 2018 season. He brings extensive experience from the competitive aquatics world as a UC Davis four-year division I Water Polo athlete and high school All American swimmer. Walter currently works as a project manager at Salesforce in the San Francisco office. When he's not in the pool or at work, you can find him at SF Giants games, cheering on the Warriors or visiting his family in Marin. Michael Heffernan who is the Director of Facilities at SFUHS joins the Athletic staff as Assistant Swim Coach. Michael’s past and current history in swimming is far from his childhood, raised on a farm in Ireland he started swimming just six years ago by jumping in the bay with a swim snorkel and wetsuit in February. He completed his first Alcatraz swim that June. He has coached military veterans every summer since for Alcatraz. His hopes are to bring a positive "you can do anything" attitude to the school swimmers and inspire that the sky or the ocean is not the limit. UHS Athletic Director and Head Varsity Boys' Tennis Coach Jim Ketcham began coaching boys’ tennis in 2007. A two-time Ohio State high school doubles champion, Jim played college tennis at Princeton University, where he was also a member of the Tigers national championship squash team. While in college, Jim served as a head tennis club professional in Toledo, OH. Before joining the UHS faculty, Jim earned an MBA from Stanford University and had a career in financial services; he also headed the San Francisco Little League for five years. Wes Kong is a tennis fanatic who joins Jim Ketcham as assistant coach for the UHS Boys' Varsity Tennis team. Wes was the captain of his varsity tennis team at McLean High School in Virginia, was recruited to play college tennis, and is an avid USTA league player who is currently rated 5.0. When Wes is not playing, watching, or coaching tennis, he's busy building his online media business from 6:00–10:00 a.m. in order to be free for the rest of the day. Wes spent 13 years in investment banking and attended The College of William & Mary and UC Berkeley for business school. He follows one main motto: never fail due to a lack of effort! JV Boys Tennis coach Colonel Peter Gleichenhaus enters his first year coaching at UHS for the 2018 season. He spent four years teaching in the Department of Physical Education at the United States Military Academy. Colonel Gleichenhaus also coached JV boys basketball at West Point and coached varsity tennis in Heidelberg Germany where they won the European High School championship. Locally he was the assistant coach at Bay for two years at one year Urban. He was ranked #1 in Over 70s mens tennis for Northern California 2014. Lisa Shaw is very excited to be joining the UHS Coaching staff this season as Assistant Coach for Girls Varsity Tennis. Lisa's career has mainly been in technology sales but she has been playing and captaining USTA tennis teams since moving to San Francisco from NYC over 25 years ago. Lisa grew up in a tennis family (everyone played High School tennis) and is the mother of two teenage daughters who also love the sport. She hopes to instill that love of the game in all the girls she's lucky enough to work with this season. Joining as the JV Girls Tennis Head Coach is Mike Geffen. He has been playing tennis for 40 years and participated in high level USTA tournaments. Mike was the Site Director and Coach of Arthur Ashe Youth league tennis program in New York. H3 has worked as a private coach locally for many years. He has also worked in the Bay Area as a Varsity and JV coach at a variety of schools. Mike attended the University of Washington and was a member of the football team. Robert Chui heads into his first season as head varsity coach after joining UHS as an assistant varsity volleyball coach in the Fall of 2016. He was previously the head coach at Abraham Lincoln High School, Urban School, and Saint Ignatius. Berto has also coached the San Francisco Juniors Volleyball Club, which qualified for Junior Nationals six times during his tenure. He has practiced Krav Maga for nine years and played NCVA adult leagues/outdoor grass tournaments and nine-man volleyball. In addition to his coaching duties, Berto is an auto tech at BMW. JV Volleyball Coach Anna Jayo, a San Francisco native, earned her BA in Communications from Notre Dame de Namur University. She was starting varsity setter for four years in high school and at NDNU. She is a multi-sport athlete with varsity experience in basketball and softball, as well as earning high school MVP and All Conference awards over several years. Anna played club volleyball with the San Francisco Juniors and Golden Bears volleyball clubs. Anna has seven years of experience coaching both club and high school volleyball. She was head coach for freshman girls’ volleyball at St. Ignatius College Preparatory, and most recently was the varsity assistant coach at Our Lady of Peace Academy in San Diego, CA. Jill Gustafson joined the UHS as the assistant JV volleyball coach in 2015. Jill was a varsity volleyball player in high school for three years, earning 2nd and 1st team all league her junior and senior year as well as most valuable player both years. Her senior year she helped her team to a second place finish in the league, was named all-state honorable mention, and also played in the 1998 Oregon 4A State All-Star Game. After high school, Jill led her Chemeketa Community College team as starting setter to consecutive first-place finishes in the Southern region, received 10 all-tournament honors total both years, was awarded first and second team all-conference both seasons, led the team to consecutive 4th place finishes in the NWAACC, and still holds the records at Chemeketa for overall assists in a match, season, and career. Jill later transferred to the University of Oregon, where she finished her BS in Psychology and continued to play club volleyball. Jill is married, has a nine-year-old son, enjoys running, coaching her son’s teams, and playing all sports including golf, baseball, basketball, and volleyball.